Where can I find more information about getting to my Venue? How can I find out more about my transport options for the Games? To find out more about travelling to and from the Games, visit gc2018.com/transport or download the Official GC2018 App. There you will find information and top tips on how to get to the Games. You will also be able to plan your journey and book your park 'n' ride through the GC2018 Journey Planner available on the app from February. Information and advice will continue to be updated in the lead up to and during Games time, so you can know before you go. Is there a journey planner I can use to pre-plan my travel to Venues? What is the best way to get to Venues on the Gold Coast?  Spectators travelling within the Gold Coast to a GC2018 Venue, are encouraged to consider walking or cycling directly to the Venue or travel by bus, train, G:link light rail services to a transport hub or a competition Venue. What is the best way to get to Venues in Brisbane? What is the best way to get to the Townsville Entertainment and Convention Centre? What is the best way to get to the Cairns Convention Centre? Can I park at GC2018 Venues? There will be additional parking and loading restrictions, road closures and temporary clearways as a result of Games operations that will make parking near Venues difficult. Spectators are encouraged to look at other travel options. Consider walking or cycling direct to a transport hub or competition Venue or travel by bus, train, G:Link light rail service to a transport hub or competition Venue. Where public transport is not an option, spectators will have access to park‘n’ride facilities in Townsville, Brisbane and the Gold Coast. Park‘n’ rides will be free for ticketed spectators and will service specific Venues and some need to be pre-booked. Is accessible parking provided at Venues? No parking is available at Venues, however there are a number of Accessible transport options available for getting to the Venue. What are park 'n' rides? Park ‘n’ rides will provide a parking solution for those unable to access public transport to GC2018 Venues. 13 temporary park ‘n’ ride locations will be available and will connect spectators from various parking locations to competition Venues via GC2018 shuttle buses. Park 'n' rides offer Accessible spaces and most shuttle services are Accessible. Book a park 'n' ride space and let staff know of your requirements when you arrive. Where can I find more information about park 'n' rides? How long can I leave my vehicle at a park 'n' ride? Park 'n' rides will be operational at different times according to the competition schedule. There will be time limits for people using park‘n’rides, who will need to return to their vehicle. To ensure that there is enough parking capacity for all ticket holders for all competition sessions you are required to catch a return shuttle bus within 60 minutes of the end of your competition session. Vehicles left after this time (plus Games Shuttle travel time) regrettably will be towed at the owner’s expense. How do I book a Park ‘n’ Ride? Park’n’rides will be free for GC2018 ticketed spectators to use but spaces will be limited and some need to be pre-booked, you can book your park ‘n’ ride through the GC2018 App. How long can I leave my vehicle at a park ‘n’ride? Park‘n’rides will be operational at different times according to the competition schedule. There will be time limits for people using park‘n’rides, who will need to return to their vehicle. To ensure that there is enough parking capacity for all ticket holders for all competition sessions you are required to catch a return shuttle bus within 60 minutes of the end of your competition session. Vehicles left after this time (plus Games Shuttle travel time) will be towed at the owner’s expense. Where can I find more information about park‘n’rides? You can find out more about park 'n' ride options here. Are walking paths available to get me to Venues? There are a number of walking paths available to get you to Venues. Directional signage will be in place to get you to the Venue. On some parts of the pedestrian network, fun Borobi trails will guide you along the path. Can I bring my bicycle on the train, tram or the bus during the Games? Bicycles will not be permitted on buses and trams on the Gold Coast corridor, to cater for additional commuters travelling to and from the Gold Coast during Games time. You can take your bike on trains. Is there secure bicycle parking at all Venues? There will be bike parking available near most Venues. We recommend that you secure your bicycle to the rack using a good quality lock. Refer to your Venue Guide for specific Venue information and exact cycle parking locations. I don’t live near any public transport, what other options do I have? Will there be extra public transport services running during the Games?  Yes - many high frequency services operate across the Gold Coast and some services will be enhanced (including improved frequency and/or hours of operations) to cater for increased travel demand from 4–15 April 2018. What is the GC2018 Journey Planner? The GC2018 Journey Planner is an online tool that will provide tailored, Games-specific travel advice to those travelling to competition events, Festival 2018 events and other locations at Games time. How do I access the GC2018 Journey Planner? Where can I download GC2018 app? Is it free? The GC2018 App is available on the App Store and Google Play. It is free to download. What information will the GC2018 Games Journey Planner provide? What is a Games shuttle bus? To support the public transport network during the Games, Games Shuttles will be available to ticketed spectators. These shuttles will run frequently connecting park 'n' rides and transport hubs directly to and from competition Venues. Shuttles will up to run for up to two hours before competition and up to 60 minutes after. What is a Route GC2018 (RGC2018)? Route GC2018 will travel between Helensvale and Nerang stations, connecting with key transport interchanges and competition Venues along the route including Southport, Surfers Paradise and Broadbeach. This service will operate 24 hours a day during the competition period (from four hours prior to the Opening Ceremony on 4 April, until three hours after the Closing Ceremony on 15 April). Route GC2018 will be free for ticketed spectators to use on days that they are attending, or working at events. What transport is free for me during the Games? Free public transport will be available on the day of the event for ticketed spectators travelling to and from competition events on the Gold Coast and in Brisbane on TransLink’s South East Queensland integrated public transport network. In Cairns and Townsville free travel will be available on TransLink and qconnect bus services for ticketed spectators and accredited workforce on the day of the event. Spectators will be required to present a valid GC2018 ticket for the day of travel. What transport do I need to pay for during the Games? Free travel will not be available on Airtrain services, as it is a privately-owned and operated company which sets its own fares, service levels and timetables. Please note the Townsville Ferry (Public Transit) from Magnetic Island is not free with a GC2018 ticket. Can I travel for free on the day I don’t have a Games ticket? Free public transport is only available for ticketed spectators on the day of your event. Is my travel from the airport to the hotel, covered as free travel? Free travel will not be available on Brisbane Airtrain services. Free public transport will be available for ticketed spectators on the day of your event from Gold Coast, Cairns and Townsville airports qconnect or TransLink’s South East Queensland public transport network. For days that you are not attending events, travel will not be free. What are the best ticketing options for travel when I am not attending events? What public transport is accessible during the Games? The public transport network is accessible and most services will deliver spectators with an accessibility requirement and their companion to Venues. Dedicated spaces are available for wheelchairs and people with limited mobility on buses and all trains and trams. All park 'n' rides and transport hubs will have staff available to assist passengers with accessibility requirements. If you require assistance during your journey, please alert a staff member. Free public transport for all ticket holders is provided on the day of your event. If public transport is not a viable option for you, taxi and rideshare services may also be available. If you have a mobility aid n accessibility requirement and plan to use public transport during the Games, you’ll need to ensure your mobility device meets the criteria for size, height, weight and manoeuvrability as specified in the Disability Standards for Accessible Public Transport 2002 . What accessible options are available at Games park 'n' rides? GC2018 park 'n' rides will have accessible car parking spaces at all park 'n' rides. Please pre-book a space using the GC2018 Journey Planner. Please note that there is no requirement to specifically book an accessible space through the booking system. Upon your arrival at the park ‘n’ ride, please make yourself known to an attendant who will be able to direct you to an accessible space. Games park‘n’ride staff will also be available to assist you with boarding the Games Shuttles if required.  What is the difference between a prohibited and restricted item? What time should I leave to get to competitions on time? It is recommended that you aim to arrive at the competition Venue up to 90 minutes earlier than the session. Please refer to your ticket to confirm the gate opening time for your specific session. Please give yourself plenty of time to travel. Am I able to bring a stroller on transport into the Venue? You will be able to take your stroller on public transport, or into the Venue, however you will not be allowed to keep the stroller with you in the seating bowl, these will need to be stored at the Venue Spectator Information Points. Can I bring food and drink into the Venue I am attending? Can I bring sunscreen into the Venues? Yes, sunscreen bottles up to 250ml will be permitted. For more information on what you can take into the Venue visit gc2018.com. Can I bring a bag into the competition Venue? It is recommended that you avoid bags where possible. If you are bringing one, it must be small enough to fit under your seat as there are no cloakrooms in GC2018 Venues. Hard sided bags are not permitted on Venue. For more information on what you can take into the Venue visit gc2018.com. Personal cameras are permitted but filming and photography they must be for personal, non-commercial purposes only and flash photography is prohibited during competition. For more information on what you can take into the Venue visit gc2018.com. Can I bring a flag or banner to support my team? Flags or banners are permitted provided they do not contain offensive wording and are no larger than 120cm x 60cm. Supporting poles are to be lightweight wood or plastic and must be no wider than 2cm and no longer than 90cm. For more information on what you can take into the Venue visit gc2018.com. If you are visiting one of the Competition Venues during the Games and lose something such as your keys, wallet or even an umbrella, make sure you contact the Lost and Found Claim Centre (LFCC) and the team at the LFCC can let you know if your item has been found and handed in.  The LFCC will be opening daily throughout the Commonwealth Games and are based at the GC2018 Uniform and Accreditation Centre. For all enquires ensure you call the LFCC first to identify the status and location of your item.